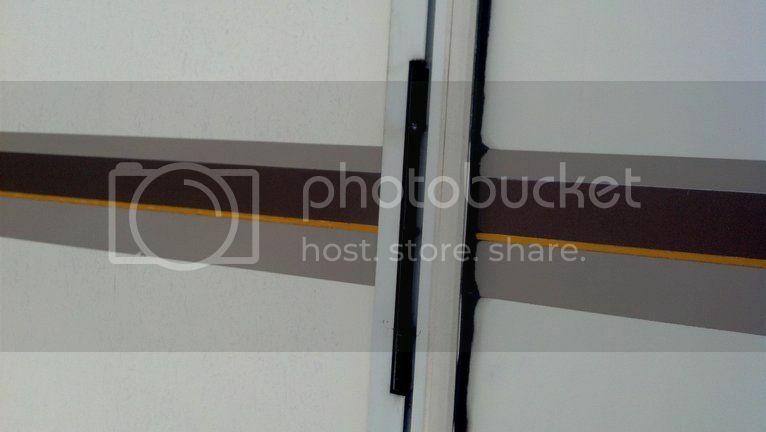 For the past couple of years, the entry door of our 1996 Fleetwood Bounder has become hard to open and close….I found that the bottoms of the individual door hinge segments have been wearing down making the door itself ride a little bit lower than originally……. 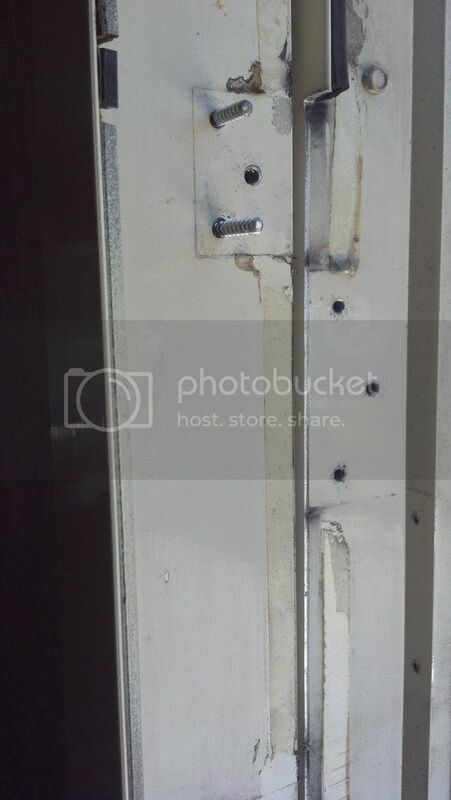 In looking for a solution, I first of all searched for the company that supplied the door, hinges and it’s other various parts to Fleetwood……..Phillips door apparently went out of business a few years back when the economy crashed……. 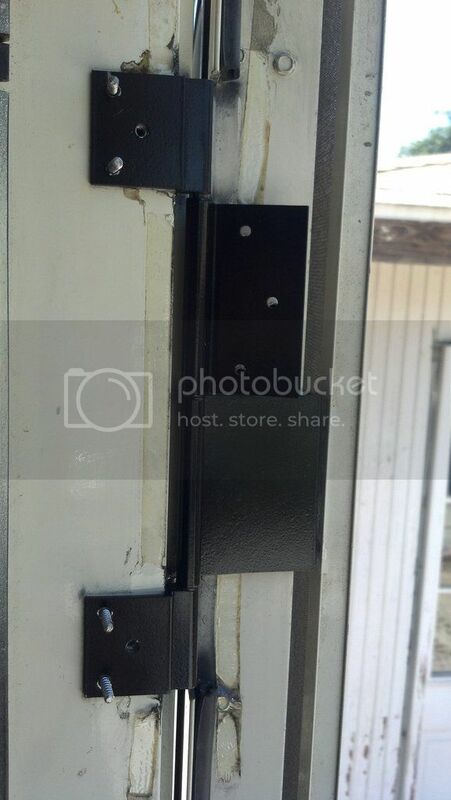 I tried doing what some others with this same problem did...by placing stainless steel C-clips in between the hinge segments on the hinge pin to raise the door back up…….this only lasted temporarily as the C-clips kept ejecting themselves one by one….I had to find a more permanent solution…….I called an RV junk yard in my area…..Walt’s RV…….they said they might have some hinges but they would probably be in no better shape than the ones I already had…….about that time I saw reference to a company, on this forum, that was making replacement hinges for Fleetwood RV’s…….. www.fleetwoodrvhinges.com....I ordered up a set of three……below is some pictures I took during my install……..as well as a few tips that might help someone else out with the hinge change out on their Fleetwood RV……..
Then I put the screws in a drill motor...and, one at a time with a file I removed the threads on the back half of the screw so the filed portion will pass smoothly through the mounting hole in the hinge …..
Once I had all 4 of the temporary screws in place I removed the screws from the door side of the hinge…..and removed the original hinge all together…. 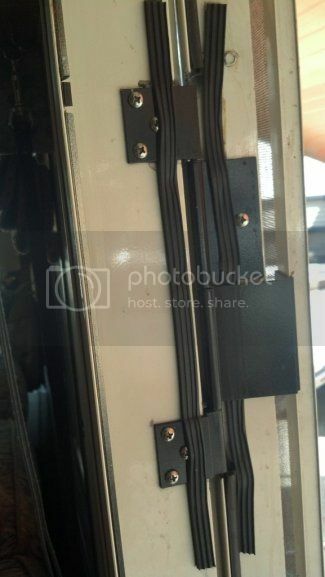 After I did this whole hinge replacement procedure 3 times I was done…… I went back later and replaced the seal tape that I had to remove to get the old hinges off…..I found the exact same foam rubber seal tape on the Mcmaster-carr website….. The new hinges came to me out of the box with a white powder coated finish…..since my Bounder is of the cream colored vintage I scotchbrighted them and rattle can shot them with flat black Rustoleum and then clear coated them with clear gloss by Krylon…….If your RV is mainly white then you can eliminate this step as the finish they come with looks real nice and durable….. I am glad that my hinges are holding up still. Excellent write-up! 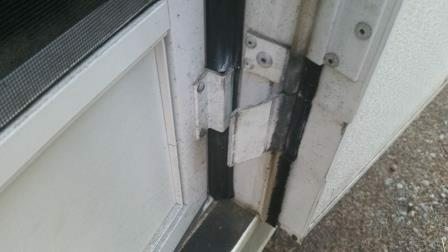 I need to replace the hinges on the door on my 1995 Fleetwood motorhome, your instructions and picture tutorial will make it an easy job! Good job! Who knew there were backing plates. Very good DIY info. I pop-riveted the last aluminum hinge I replaced and, of course, it has since broke. 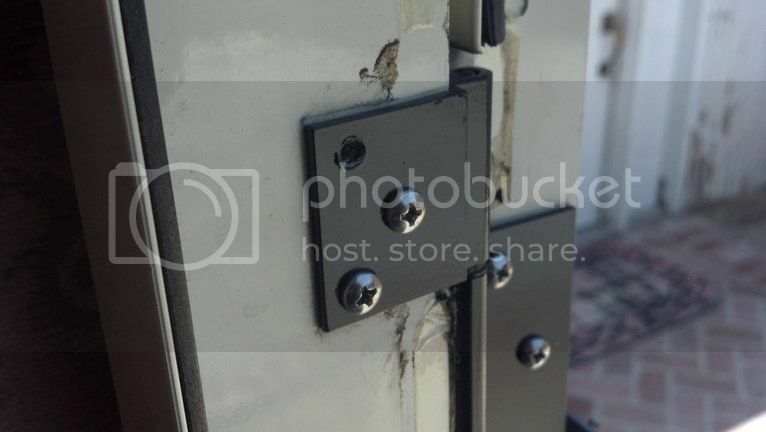 This time I will purchase the stronger and more expensive hinge but use pop-rivets again as they held strong with no movement or visible wear. 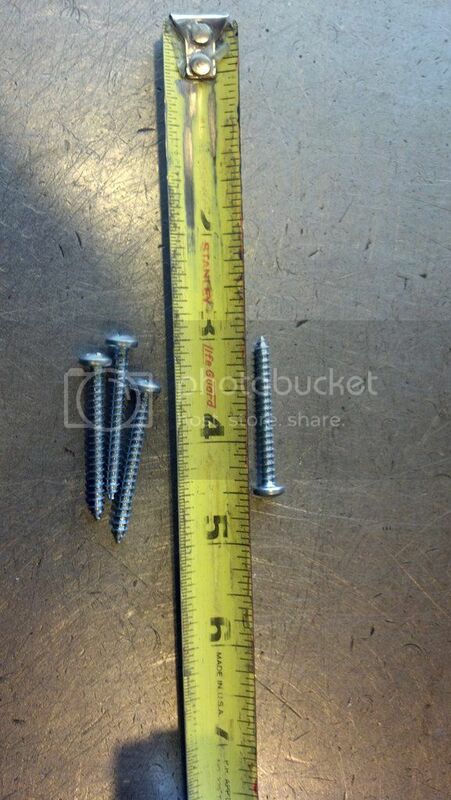 The pop-rivets were correct for size and application. Great write-up. Thanks for taking the time to do the step by step. I wouldn't have known about the backing plates either. I have the same problem with a 2006 Fleetwood Flair. The current problem is with the bottom hinge, but I am guessing it is only a matter of time until the others fail. The price for 3 hinges sort of shocked me...$438? but I am assuming no one has found a better solution? some new information on the hinge issue. Before going too far, take a close look at the plate on your entry door. It turns out mine (2006 Fleetwood Flair) was made by a company purchased by Attwood (Creation Door). Fleetwood no longer carries the correct hinge for these doors, but Attwood does. 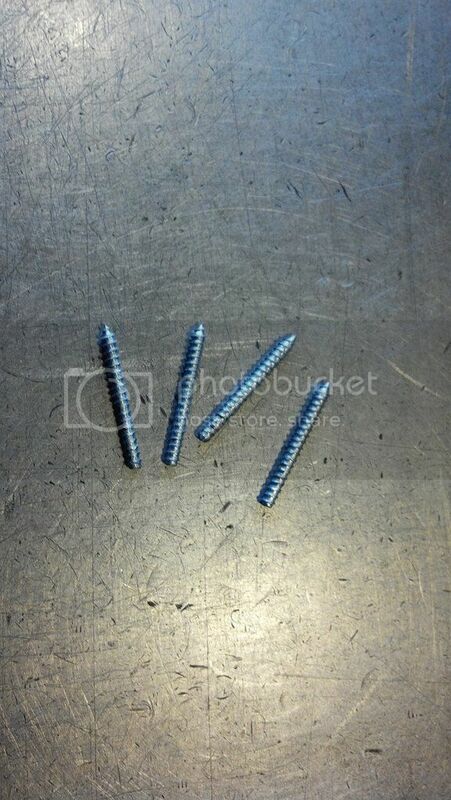 Attwood part # 5027052150. 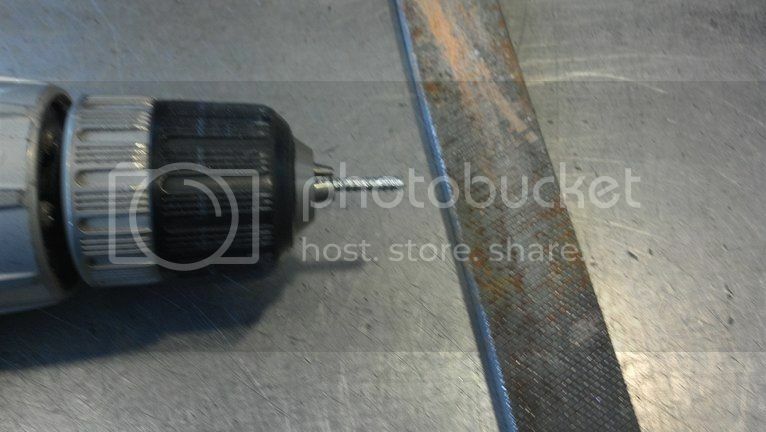 It will keep you from drilling new holes or re-engineering the one now carried by Fleetwood.